citizensfordemocracy | Power to the people! Junaid Hafeez (right) with a friend in happier days. In his early 60s now, Mr Hafeez is a soft-spoken and kind man but he smiles rarely or not at all. Although sleep-deprived and fatigued, his eyes glimmer with memories of times that were, and hope for the days to come. He travels 200km every week, from Rajanpur to Multan, to meet his eldest son in incarceration. Mr Hafeez’s son is no ordinary inmate — his name is Junaid Hafeez, formerly a visiting faculty member at Bahauddin Zakariya University (BZU), Multan’s, Department of English Literature. He was arrested on March 13, 2013, after an FIR was registered accusing him of having committed blasphemy. It was while preparing Junaid’s legal defence that human rights activist and lawyer Rashid Rehman was gunned down. The case is sub judice. A little-known alliance of hundreds of lawyers in Pakistan is behind the rise in prosecutions for blasphemy, a crime punishable by death that goes to the heart of an ideological clash between reformers and religious conservatives. A delegation from Citizens for Democracy (CFD), comprising Uzma Noorani, Naziha Syed Ali, Adam Malik, Hasan Javed and Noman Quadri met with Imran Aslam, President Geo TV at 1600 hours PST, Thursday January 8, 2015 at Geo TV, Office in Karachi. The meeting was arranged to deliver a letter of protest to the management of Geo TV regarding Aamir Liaquat Hussian’s show “Subh-e-Pakistan”. As mentioned in the letter, Mr. Liaquat in his show on Monday December 22, 2014 allowed the clerics who were invited, to use derogatory language against the Ahmedi community labeling them as enemies of Pakistan, blasphemers and “root cause of terrorism” in the country. Citizens for Democracy joins all those who condemn and protest against the brutal lynching and burning of the bodies of a poor Christian couple by a mob in Chak 59, a village near Kot Radha Kishan in Kasur District southwest of Lahore. Following are facts of the case compiled by the non-government human rights organization Life for All Pakistan. The victims, Shahzad Masih and his wife Shama belonged to Clarkabad, but had moved to Chak 59 a few years ago and were working for an owner of a brick kiln. 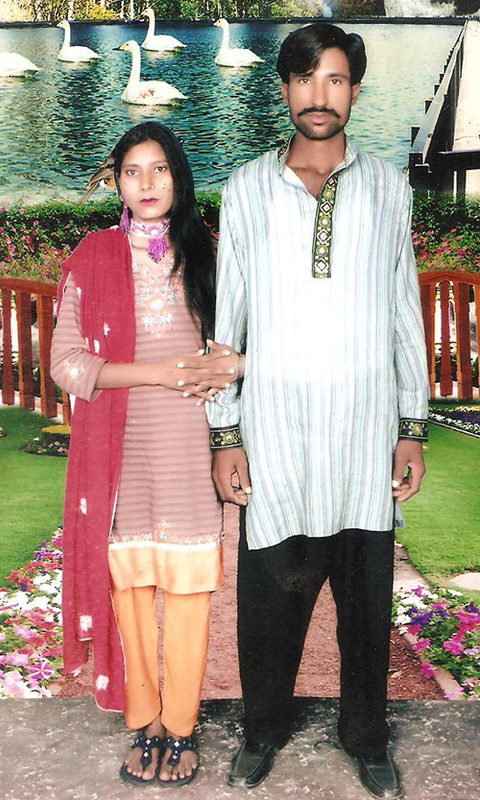 The Society for Secular Pakistan (SfSP) strongly condemns the killings of Shazad Masih and his pregnant wife Shama by the crowd incited by the clerics of three mosques of the villages in Kasur. We demand that these clerics should be arrested and punished for inciting people’s religious feeling to kill the kiln worker who had reportedly some dispute with the kiln owner. Unfortunately this is not the first time that the sacred place of worship was used to incite and entice people to kill with impunity. There have been instances when some fanatics had announced hefty head money for killing so-called blasphemers and the state did not take any action although it’s a crime. Pakistani Christian Aasia Bibi had an argument with some coworkers over drinking water in 2009. The argument turned into a religious one and she was accused of blasphemy against Islam. Two politicians have been killed for standing up for her. She was convicted in Nov. 2010 and yesterday her appeal was rejected by the appellate court. Legal arguments in this story, published in Worldwatch Monitor, October 17, 2014, reproduced below (emphasis added). Also see The dangers of ignoring ‘malicious intent’ while accusing of ‘injuring religious sentiments’.